We offer a full refund for your purchase for any reason; however you will be responsible for return shipping and insurance charges. Items must be returned within 7 days of receipt and in the same exact condition as they were sent for payment to be refunded. Please note that custom orders or items altered at the buyers request are not eligible for a refund. We reserve the right to cancel orders for any reason. Please ask all questions or voice any concerns, should you have any, before making your purchase. We encourage questions and dialogue and will respond to all reasonable inquiries. Once a purchase has been made it is a binding and legal agreement to purchase the item as it is listed. Expedited shipping services are available for an additional charge. Buyers outside the United States are responsible for any and all customs and/or duties resulting from importing purchased items into their respective countries. These charges are not included in the individual item price or the shipping/insurance price. Questions about these additional fees should be addressed to the international buyer’s specific government agency relating to importing and customs practices. US Customs and export paperwork will be completed using the purchase price. Forms and paperwork will not be altered, (i.e. items will not be marked as “gift”) as it is a violation of US export law to alter such documents. Items cannot be declared for less than the insured amount. All international packages must be insured. 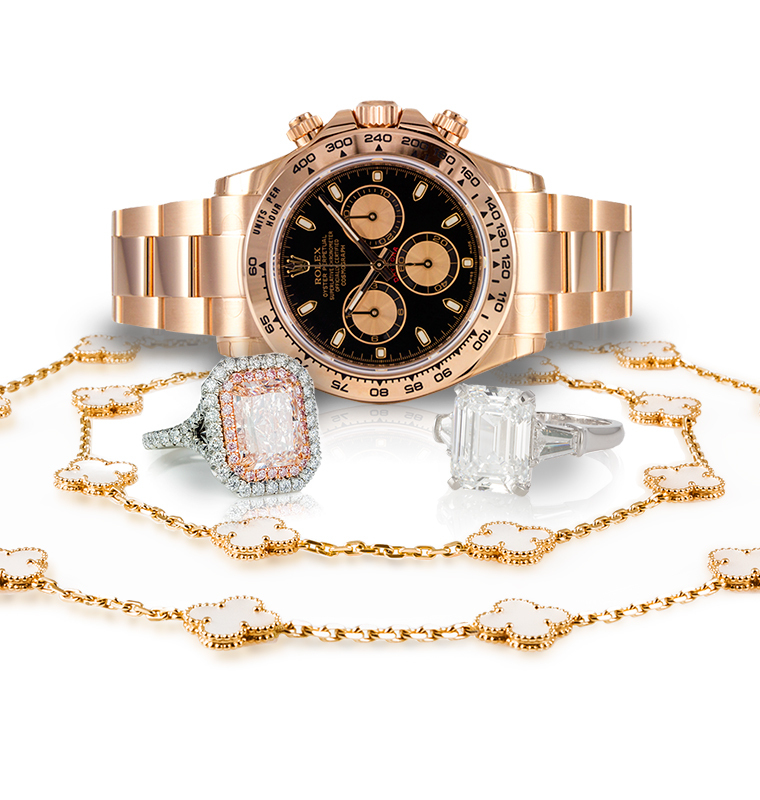 We guarantee all of our watches and jewelry items to be 100% authentic and as described or your money back. If you have any questions, please do not hesitate to contact us immediately. All of our watches have been certified, and if necessary serviced by our full-time Watchmaker so they are guaranteed to be in perfect running order. Every watch comes with a 2-year warranty from us for mechanical defects. You will receive a personalized warranty card with your purchase.